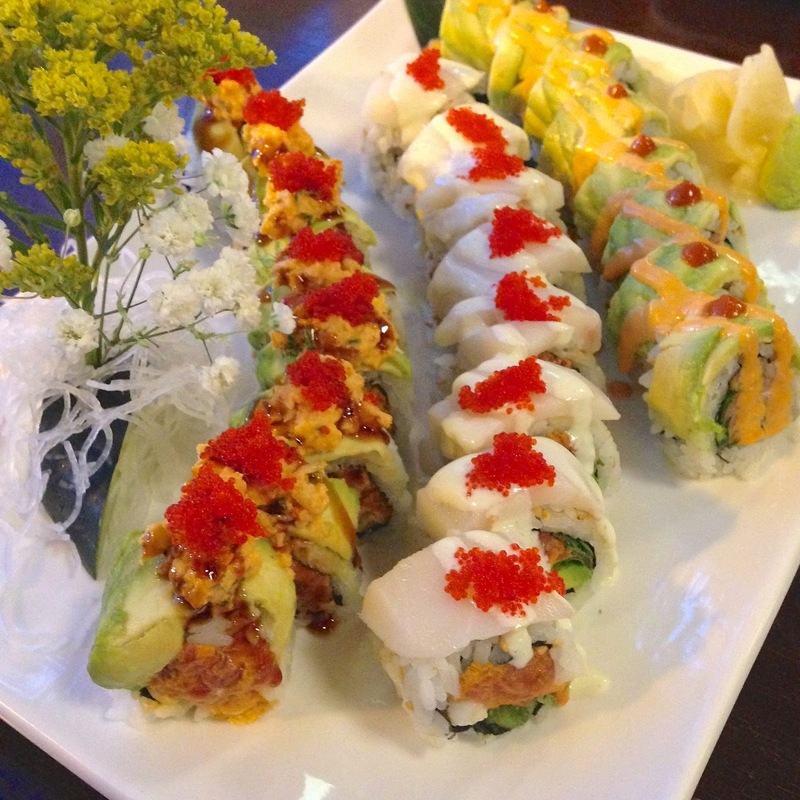 If you're looking for a new sushi destination to throw into your repertoire, consider checking out Miku Sushi, located in Lincoln Square. The space that houses Miku Sushi used to be renowned sushi spot Tank Sushi, and then Laughing Bird for a short period. Now the restaurant is bringing an upscale sushi concept back to the area, led by husband and wife owners Stanley Liem and Sara Katekaew, who met while working together at Tank Sushi (of all places) in 2008 (awwww!). My friend and I stopped by for a weeknight dinner to explore the expansive menu. The menu includes most of what you'd expect on a sushi restaurant menu including maki rolls, nigiri and sashimi, as well as some items you might not, including tonkotsu ramen, and small hot plates such as foie gras, rib eye, and seared duck breast. The menu is large so I advise skimming it before arriving! 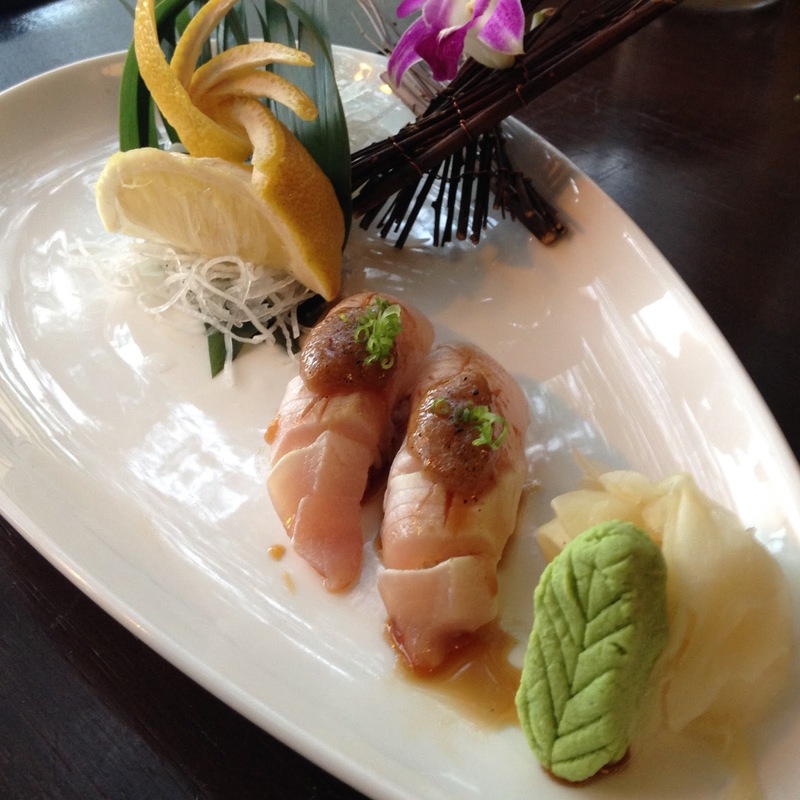 After our attentive server offered a few menu suggestions, we started with the garlic edamame, and two pieces of hamachi nigiri. 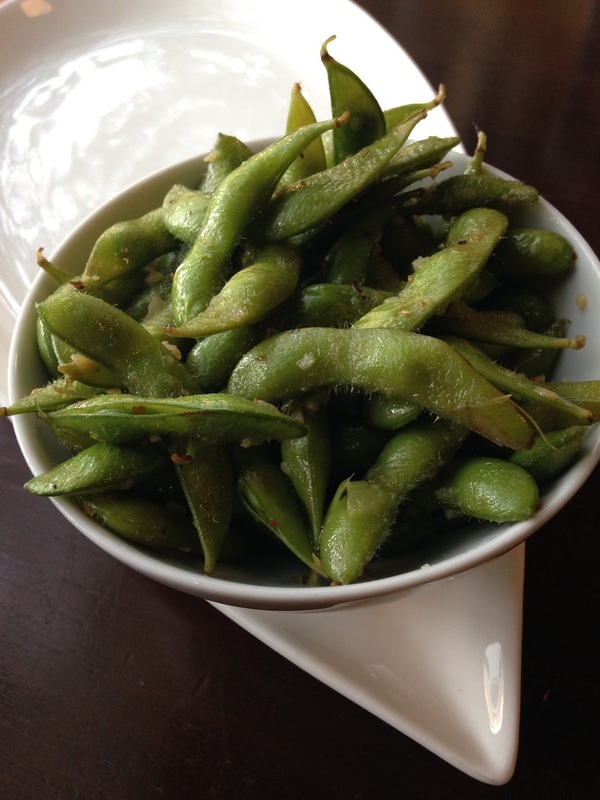 The edamame was very garlic-y so if that's not your thing, stay away. The hamachi was served with miso, black pepper, scallion and truffle oil soy sauce, but we felt the truffle flavor was hard to pick up on. The next dish we had was one of my favorites, but also slightly confusing. The spicy tuna "ravioli" was essentially a ball of spicy tuna and crab meat with tempura crunch, wrapped in thinly sliced avocado and topped with a sweet soy sauce. We couldn't figure out why it was referred to as ravioli, but maybe because it has avocado stuffed with the tuna and crab? Who knows, but it was delicious and unique, and I loved the artistic plating. Can you sense a theme? We like spice! Our sushi was delicious, flavorful and colorful. They went the extra mile with the plating for this course too! 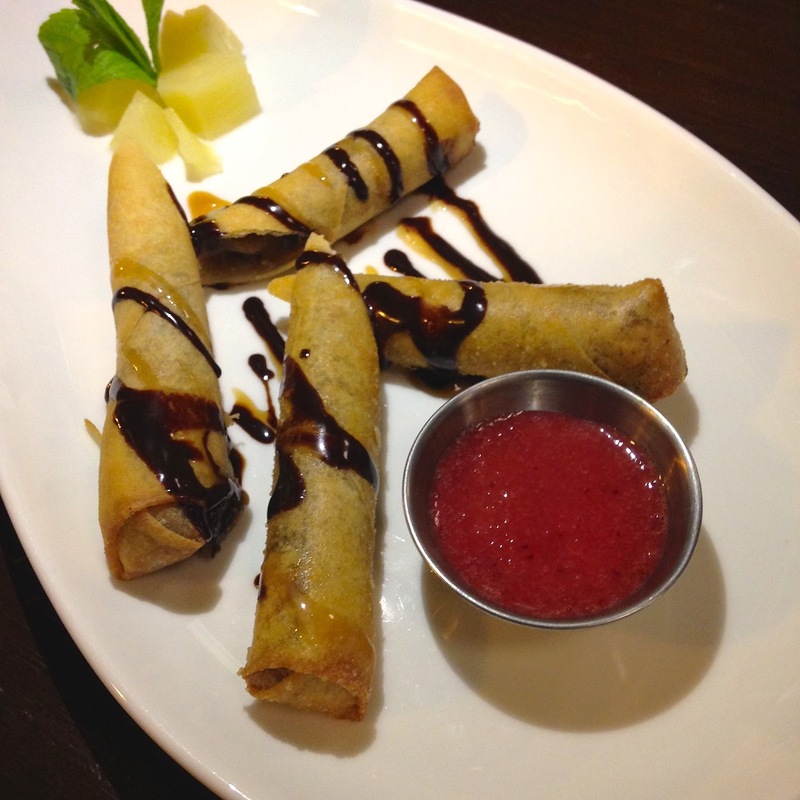 While I don't typically order dessert when I go out for sushi, our server recommended we try the cookie dough egg rolls. I mean, how bad could those be? We loved the cookie dough filling and the novelty factor, but I wasn't convinced the egg roll shell was the best pairing. There was a side of strawberry sauce that added a nice flavor contrast though. 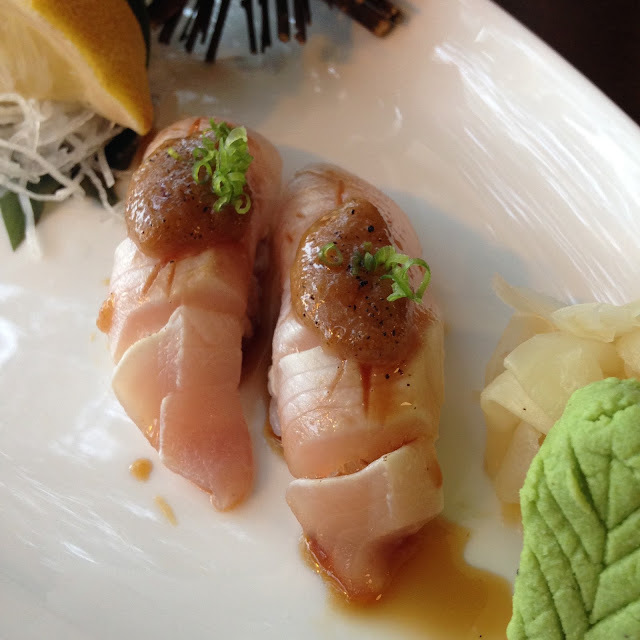 I was impressed with the wide variety of menu options and unique sushi items available at Miku Sushi. There is definitely something on the menu for everyone, especially if someone in your party does not like sushi. The space is modern and clean, the service is fantastic, and the plating and flavors of our food really helped Miku Sushi stand out as a great addition to the Chicago sushi scene. Note: my meal at Miku Sushi was complimentary; however, the opinions expressed herein are my own.